See below a report of the 2009 Victoria Twitchathon for the 7 Year Twitchers. The team members were Tim Dolby, Greg Oakley and Fiona Parkin. 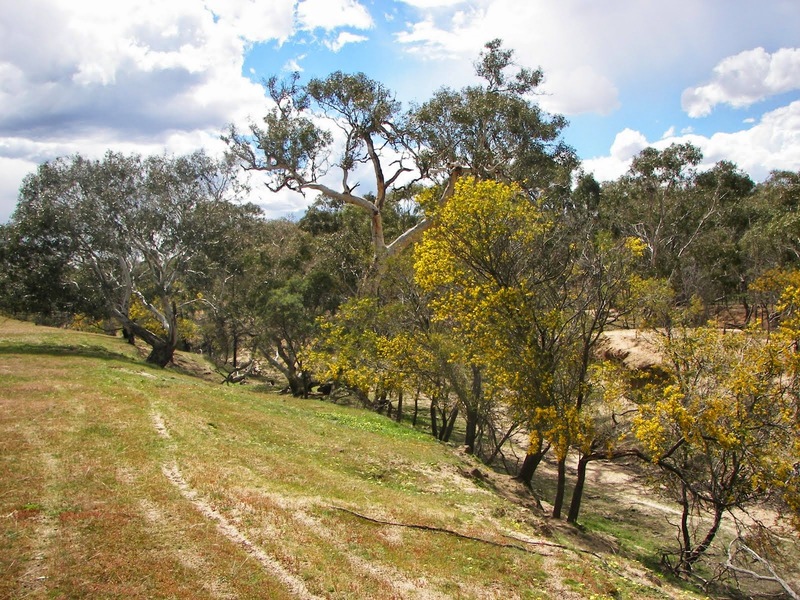 We started at Goschen Bushland Reserve near Swan Hill, then moved down through central Victoria. We then headed to coastal Victoria including the Otway Ranges, e Bellarine Peninsula, You Yangs and, finally, the Western Treatment Plant. Arrived at Goschen at around middaty, so had a good 4 hrs to look around. We tracked down all the birds we wanted to see, planning to return to each spot (quickly) when we started racing. Our plan was to do a circuit of the site. The Twitchathon began at 4:00pm. It was 38 degrees (and had been 40 degrees an hour or so earlier), but things were starting to cool down. We’d done our reconnaissance of the site and knew exactly where to find all the magical birds at the Goschen. 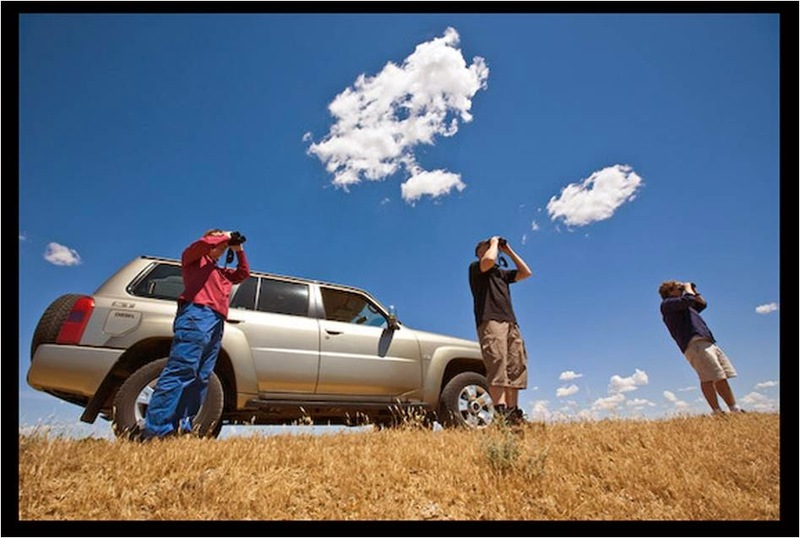 The race started – Black Honeyeater, Budgerigar, Crimson Chat, a Peregrine Falcon on the communication tour feasting on woodswallows by the thousands, Pied Honeyeater – and we hadn’t even started to move about! Then Red-capped Robin, Chestnut-rumped Thornbill, White-browed Babbler, Rufous Songlark, White-winged Triller, Hooded Robin, Cockatiel, Rainbow Bee-eater, Yellow-throated Miner, Jacky Winter and a few others. Dipped on both Little Button-quail and Variegated Fairy-wren (we ended up seeing this later), and we picked up Pied Butcherbird and Blue Bonnet on the way into Lake Boga. At Round Lake (just west of Lake Boga) we saw Whiskered Tern, Great Crested Grebe and Blue-billed and Pink-eared Duck, Hardhead, amongst other waterbirds – these were waterbirds we’d see later in the thon (at the WTP), but nice to get out them of the way. While at Lake Boga (the township, not the lake, which is completely dry) we saw White-breasted Woodswallow and Blue-faced Honeyeater. Triple fairy-wrens – what a great place – White-winged, Variegated and Superb Fairy. We then got onto Orange Chat, Zebra Finch, Brown Songlark, Horsfield’s Bushlark and Black-tailed Native-Hen. On the drive to Terrick Terrick we saw a few of the common raptors (such as Black Kite), and a few more Cockatiel and Budgies, and picked up Little Friarbird at Kerang and Little Corella while on the road. 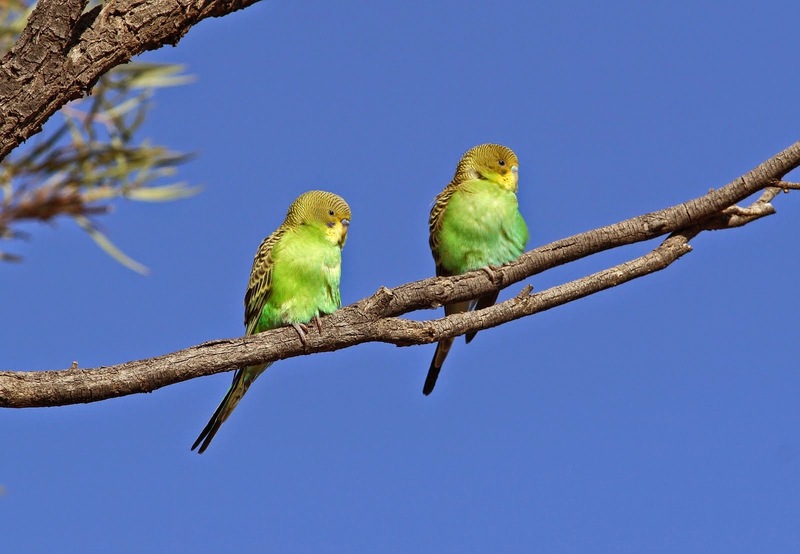 At Terricks we got onto most of the targets relatively easily, such as Mallee Ringneck, Gilbert’s Whistler, Southern Whiteface, Peaceful Dove, Yellow Thornbill, Restless Flycatcher plus a few other. Next stop the Whipstick, picking up White-necked Heron on the way. We drove into the Whipstick section of the Greater Bendigo National Park via the Eaglehawk-Neilborough Rd. 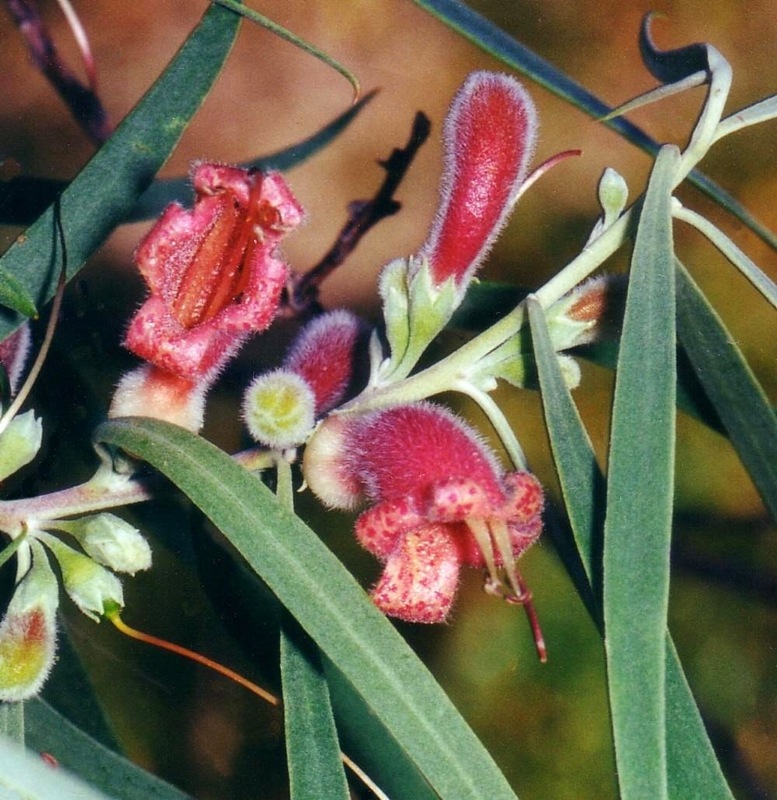 This is a good option because it got us into the main eucalypt heathland quickly and easily. The other option is to drive in via Kamarooka, which can take an extra half and hour or so. At this stage of the race we are desperate for time, so any savings is really worthwhile. The birding was pretty good. In terms of honeyeaters we picked up Yellow-tufted, Fuscous, Yellow-plumed as well as Dusky Woodswallow, Inland Thornbill, Shy Heathwren, Golden Whistler, Australian Hobby and Brush Bronzewing. A couple of bonus birds at the Flagstaff Hill, Black-chinned Honeyeater, Grey Butcherbird (perhaps surprisingly we usually don’t see any on the thon) and Scarlet Robin (which saves use having to have a look for this near Anglesea). Dipped on Crested Bellbird and Spotted Nightjar and a few honeyeaters such as White-fronted, Purple-gaped and Tawny-crowned Honeyeater, but we weren’t complaining. From Bendigo we headed to Lorne and bush camped. During the night we heard Fan-tailed Cuckoo, Owlet Nightjar and Boobook. (Interestingly Yellow-bellied Glider was quiet during the night, as was Koala.) In the morning almost the first bird we heard was Brush Cuckoo, which was then followed by Satin Bowerbird, Pied Currawong, Spotted Pardalote, White-throated Treecreeper, Striated Thornbill, Rose Robin, Rufous Fantail, Crescent (surprisingly few calling), Yellow-faced, Brown-headed, and White-naped Honeyeater and Forest Raven on the road out. We dipped on Gang-gang Cockatoo (perhaps our biggest dip for the thon) and Bassian Thrush although we usually don’t get this bird anyway. On the Ocean Rd picked up Rufous Bristlebird, Little Wattlebird, Wedge-tailed Eagle, New Holland Honeyeater, and stopping at a wetland near Aireys Inlet got onto Latham’s Snipe. Anglesea Heath was good as usual, getting onto Blue-winged Parrot, Southern Emu-wren, and Pallid Cuckoo (we’d dipped on this in the north). Hooded Plovers at Pt Roadknight – as well as a White-browed Albatross (the only albatross we saw for the entire race), which was sitting the water only few hundred metres out to sea. Point Addis was a real disappointment! We dipped on Shy Albatross, but did get onto Short-tailed Shearwater, Crested Tern, Australasian Gannet and Pacific Gull. 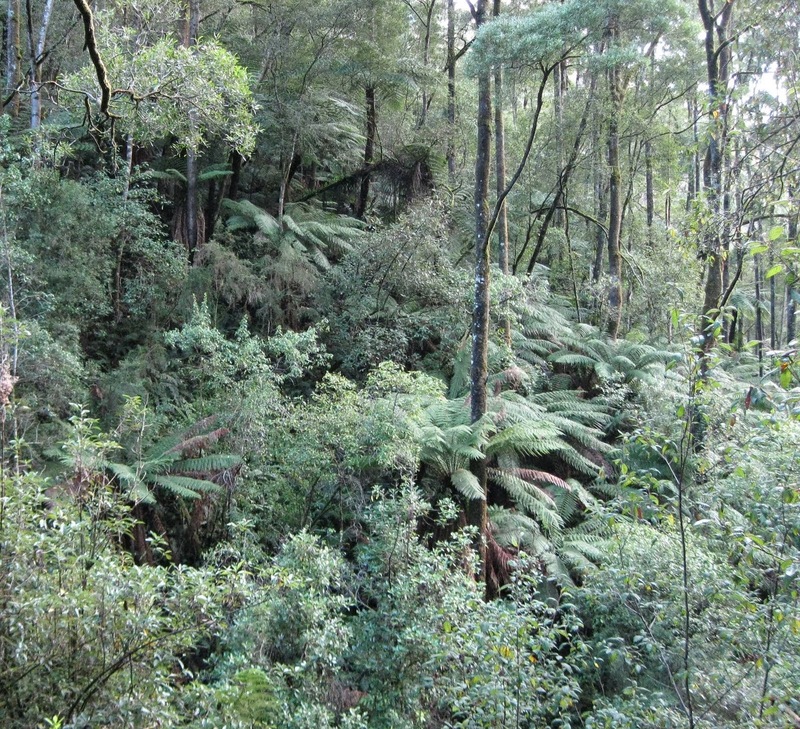 Nearby The Ironbark Basin walk was good; Buff-rumped Thornbill, Satin Flycatcher, Varied Sittella were the highlights. A female Flame Robin was a bonus species as we rarely see them thon. We also saw Shinning Bronze-cuckoo and Yellow-tailed Black-Cockatoo in a wheat paddock. At Barwon Heads the tide was high, so not good for waders; however we did see Eastern Curlew, Little Egret, Caspian Tern, Musk and Rainbow Lorikeet. Point Lonsdale was really disappointing, our worst site for the race. I don’t think we got a single species? We’d normally get Black-faced Cormorant, clean up Shy Albatross if we hadn’t seen it already, and bonus species such as Artic Jaeger and Fluttering Shearwater. But nothing. An inpromptu stop at Reedy Lake (Lake Connewarre) making up for the dry Lake Lorne in Drysdale (our normal site Freckled Duck), was good for Magpie Goose. We also dipped on Banded Stilt ay Moolap salt works, so we had a bit of work to do to keep up our excellent total. We were however doing really well in terms of our time. Our next targeted stop was the You Yangs. 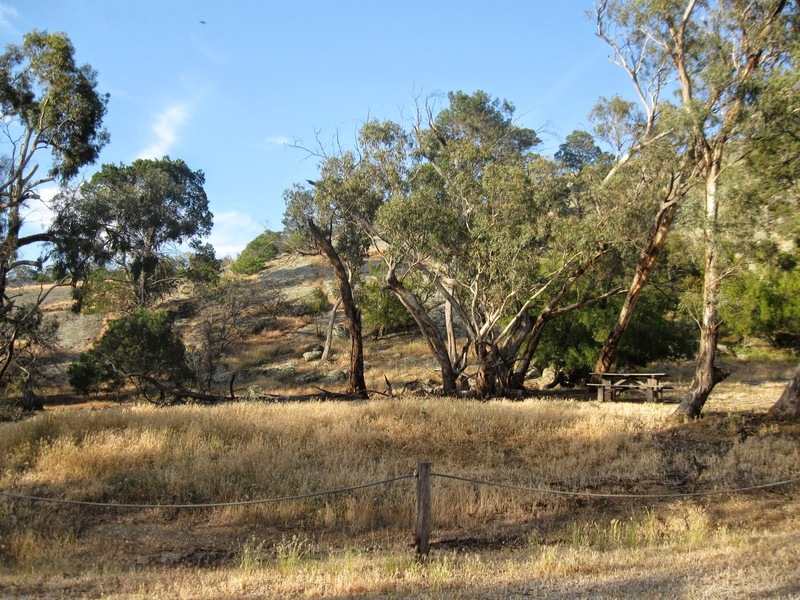 Hovell Creek, as the name suggested, is not the most attractive birding destination. It suffers erosion and in some parts seems more like a rubbish tip. It is however a great place to go birding watching. Here we picked up Little Eagle, Long-billed Corella, Diamond Firetail (fortunately because we’d missed seeing them at Terrick Terrick), Red-browed Finch, Sacred Kingfisher (surprisingly not seen or heard prior to this), Purple-crowned and Little Lorikeet, and we got onto the resident pair of Tawny Frogmouth near the parks office. The plant is always good for birding and great for racing a Twitchathon. It just depends on how good it would be. First stop was the Brolga site, but no Brolga. At the Spit we ran into Fred Smith. If there’s a true legend in birding it is Fred Smith. I remember reading his reports when I was 10 years old. In 1989 he also won the Twitchathon! It was really nice to see him while racing an event that he’d won 20 years earlier almost to the day! At the Spit had a nice selection of waders including Pectoral, Curlew, Marsh and Sharp-tailed Sandpiper, Bar-tailed Godwit, Red-necked Stint, Greenshank, Spotted Crake, Pied Oystercatcher and Yellow-billed Spoonbill, and at sea we saw Fairy Tern. From The Spit we headed to Kirke’s Point. Nothing special, more Fairy Tern. On the way through WTP we picked up species such as White-winged Black Tern, Striated Fieldwren and Australasian Shoveler. A stop over at the Burrow Pits produced Red-necked Avocet, Black-tailed Godwit, Glossy Ibis and Royal Spoonbill. We were running very close to time, and we weren’t quite what to do. Do we head along the coast and hope to see some of our missing seabirds (such Black Oystercatcher, White-bellied Sea-eagle, Artic Jaeger, Shy Albatross and Fluttering Shearwater). Then we realised that we hadn’t seen Cape Barren Goose, so we headed to the only major area we hadn’t covered at the WTP, the T-section. Sure enough we soon got onto about 6 geese. A minute or 2 to go, may as well see if we can find the Brolgas again. No Brolga, but a pair of White-bellied Sea-Eagle being mobbed in the distance! If we hadn’t scanned the horizon for the Brolga we would never have seen the eagles. Great finish, a tick just before the end of the race. Our final total was 215, and we had won! A big win, the 3rd highest winning total in Victorian thon history. We beat the 2nd placed team by 7 birds; they’d apparently had a disastrous last few hours, being caught in northern Victoria during a hot 40 degree day. In summary it was a good but very hard Twitchathon. Goschen was brilliant (despite the 38 degree heat), putting us about 7 birds up (on our previous best) in the first 15 minutes! From there we actually went backwards. By my calculations, if we hadn’t have done so well at Goschen we would have scored 208, the exact same score as the team that came second.Also (due to family circumstances with one of our team members) we were forced to race a week earlier than the other 24 hr teams. An unavoidable situation, and if we hadn’t done this we would have had to abandon the race altogether. As the Twitchathon is about raising money and awareness for bird conservation I’ve always allowed the option to race on an alternative weekend. Did this change the circumstance of the race? Yes, it would have altered race conditions. Did it give us an unfair advantage? My personal feeling is that it didn’t. As mentioned, when we started our race in northern Victoria it was 38 degrees, similar temperatures to the following weekend. We were also lucky to start the race in northern Victoria at 4:00pm on the 1st day, as the temperature started to cool almost as soon as we began. If we’d raced in northern Victoria during the heat of the day we would have been racing in 40 degree heat, and our score would have dropped significantly. In the end I found it the hardest race that I’ve raced.